Contrary to a popular misconception about most things online being essentially free, building and running even an open-source based e-commerce website can cost you quite a bit more than you had originally estimated. 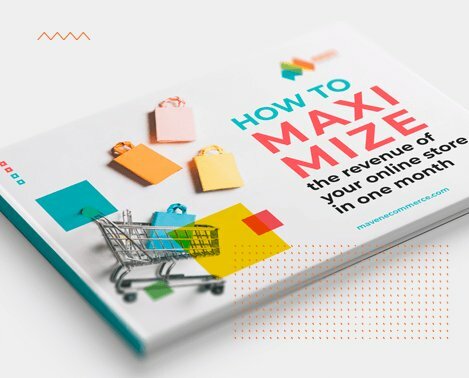 To answer the question why, we break down the sources of the various website development costs involved in creating a turnkey online store using the free Magento Community Edition as an e-commerce platform of choice. To minimize the costs of e-commerce development one has to understand what factors that affect them. Below we list your options – from the perspective of a do-it-yourself enthusiast. Hosting costs for any website (built on any platform) start from $3.95 per month to essentially the sum you are willing to spend, so your goal is to find a reliable provider with transparent pricing. The cost of having your website displayed to the Internet depends on three things: complexity of your website features, your product catalog depth and the number of visitors to your site. Get quotes from Magento Hosting Partners listed on their website, ask your friends or refer to your trusted software review resource. The cheapest reliable Magento hosting service for a small website with up to 200 products runs $24.95/month (or a $19.95 per month if you pre-pay the service for one year). Keep in mind that the average receipt amount doesn’t matter: a shop selling yachts can safely choose the same basic hosting plan as a local Italian restaurant selling pasta sauce from its website so long as products are few in number, traffic to the website isn’t heavy and the website isn’t loaded with marketing features. On the contrary, a mass-market apparel retailer selling fashion items for $9.99 a piece will need a dedicated Enterprise Server to make sure that thousands of visitors can easily browse hundreds of complex products with upselling and cross-selling functionality without compromising the website’s performance. Solutions for Enterprise clients like B2C retailers start at $1,499.95/month and go up into thousands of dollars per month. Total Hosting Cost: from $24.95/month. Have you seen hosting providers offering free domain names as part of their hosting “package”? No moderately searched-for domain name is free, so bear in mind that finding and registering a domain name relevant and specific for your store will cost you money. If what you’re selling is unique, chances are you can register a unique domain name for under $100, plus annual registration fee, which is usually significantly cheaper when registering for 10 years. Be aware that domain aftermarket is a big business, with some domain names selling for tens of thousands of dollars. Unless you have serious reasons for an alternative, go for a .com top-level domain, but also plan to register country-specific domains for your business in advance, to avoid unpleasant surprises when going International, as a natural extension of your business as you grow. Just like the above, this cost is not unique to a Magento store. Total Domain Name Purchase and Registration Cost: from $100, with domain registration for 10 years. Unless you’re building a website for a Fortune500 brand, Magento’s Community Edition will meet your needs. It is open source, free and supported by the Magento community, meaning you have to download and install the most popular software for ecommerce yourself, relying on advice picked up on forums and in community discussion groups. The Enterprise Edition costs quite a bit more, at $15,500/year for improvements that become relevant only for truly heavily trafficked websites. Total Magento Edition Cost: from $0 (Community Edition) to $15,500/year (Enterprise Edition). Your website theme is essentially its GUI: it defines the way your store looks and functions, so by choosing a theme you are making a long-term commitment. Both the Community and the Enterprise versions of the Magento platform offer built-in website themes, but those themes are more like bare-bone construction set than a ready interface. Therefore, your choice is essentially to sacrifice functionality and take some risks with a purchased theme, or to hire Magento developers to create a bespoke one to set you apart from the competition. There are hundreds of ready-made themes offered for free and for sale from a few dollars to a couple of hundred of dollars, but selecting them still leaves you at the mercy of their ease of customization, their code quality, interoperability with add-ons and extensions, etc. If you chose the purchase of ready theme route, make sure you research the provider that is still in business, offers updates and has good reviews when it comes to after-sales support service. In case the designers you are working with have already created a PSD file (a Photoshop Document) for your website, or in case you want to make sure you have access to 20+ marketing tools Magento can offer, you will need to find a custom theme developer (we will write about how to do this in a separate article). A custom theme developed specifically for you will allow your marketing team to offer a unique shopping experience, but will cost anywhere from $10,000 to $100,000. If you see ads promising you a custom theme for $1000 or less, what you’re likely to get is an online store optimized for 10 products, 20 concurrent users, PayPal integration only and poor search indexing features – hardly a platform to launch you to e-commerce success. Total Theme Cost: from $0 to $699. Want to connect your sales data to an accounting system, offer gift cards, and more? You will need to find and install extensions to your Magento store. Some extensions are free, others range from a few dollars to thousands of dollars for complex ERP integration extensions. Bear in mind that not all extensions work as advertised and are not always compatible with each other. Also, make sure you analyze what resources will be needed to set up and run specific add-ons. And just like with the providers of Themes, make sure to verify that you can get support and after-sale services from the publishers. Total Extensions Cost: from $0 to several thousand dollars. Congratulations: if you went with the option of only paying what you absolutely must, picking up freebies and technical skills along the way, your total Magento website development cost so far could have been a few dollars a month for the website hosting service, plus the domain name registration cost! If the value of the time you have spent is free, you’ll get a fairly low-cost solution! Unfortunately, we don’t live in a perfect world: software generates errors, different components conflict, publishers don’t provide timely support – so making sure that the entire website ecosystems functions as intended requires time and end experience. With the simplest implementations of online stores on Magento, all the components have to be properly configured and tested; inventory, payment gateways, shipping and analytics set up, etc. This is why there is an entire ecosystem of digital agencies and software development shops offering Magento development services, taking about a month’s worth or time and costing $10,000-$20,000. Grand Total for a Magento Website: from several hundreds of dollars (and unlimited use of your time) to $20,000. Want to Know the Exact Cost of Creating Your Store on the Magento Platform? Complexity of the Magento platform, the number of related tools required, language and tool experience for the above components and their learning curve are all too easily underestimated. Generally, reliable companies charge $60-$200 hourly rate for Magento development. We tend to offer our customers a blended hourly rate that is closer to the lower part of the spectrum, providing significant time and financial savings. We have deployed several Magento stores of practically every level of complexity and will be happy to give you an accurate quote for a solution tailored to your needs! Please fill out our Contact form and we will get back to you with an answer shortly! Keep in mind that once your online store is up and running, the technology keeps advancing and your store features will need to grow. Chances are that your eCommerce store software developer will become your go-to resource for support and upgrades, so make sure you are comfortable and confident with your Magento development partner. Talk to us and you will learn why most of our project customers become our long-term clients.